Anis Contractor, PhD, professor of Physiology and senior author of a study published in Molecular Psychiatry. 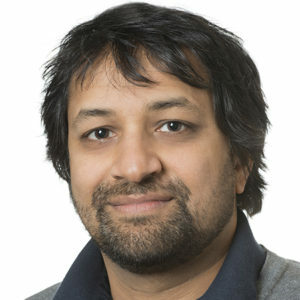 These findings suggest that the sensory hypersensitivity experienced by patients with Fragile X syndrome, a syndromic autism, may be caused by elevated intracellular chloride in neurons during early development, according to Anis Contractor, PhD, professor of Physiology and senior author of the study. While most genetic mutations that cause autism are very rare — and most cases of autism spectrum disorder are not linked to a genetic cause — children with Fragile X syndrome have a well-defined mutation in a gene on the X chromosome, so Fragile X syndrome is used as a laboratory model for certain aspects of autism, including sensory hypersensitivity. Prior studies in Contractor’s lab established the role of intracellular chloride in certain symptoms of Fragile X syndrome: While it is important for neurotransmitter signaling, high chloride concentration in neural cells can also cause abnormal excitation, shifting the timing of important developmental critical periods. “The activity bleeds to other clusters of cells, activating more cells than it normally would,” he said. “It’s actually not used very much anymore, because there are better drugs on the market now. But in addition to its effect on blood pressure it can affect neuronal chloride transporters and the influx of chloride into the cell,” Contractor said. Contractor is also a professor in the Department of Neurobiology in the Weinberg College of Arts and Sciences. Qionger He, PhD, a former postdoctoral fellow in Contractor’s laboratory, was first author of the study. Feinberg co-authors include Jeffrey Savas, PhD, assistant professor in the Ken & Ruth Davee Department of Neurology and of Medicine and Pharmacology, Sam Smukowski, staff member in the Savas Laboratory and Jian Xu, PhD, research assistant professor of Physiology. The authors also collaborated with Carlos Portera-Cailliau, MD, PhD, associate professor of Neurology at the University of Southern California-Los Angeles, and other members of his research group. 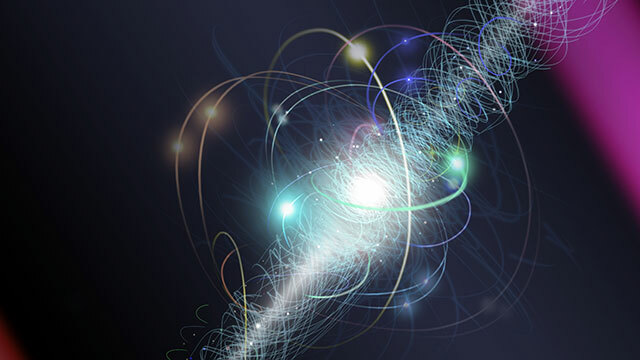 “Harmonizing multiple quantum mechanical properties, which often do not coexist together, and trying to do it by design is a highly complex challenge,” said Northwestern Engineering’s James Rondinelli. But Rondinelli and an international team of theoretical and computational researchers have done just that. Not only have they demonstrated that multiple quantum interactions can coexist in a single material, the team also discovered how an electric field can be used to control these interactions to tune the material’s properties. Supported by the US Army Research Office, National Science Foundation of China, German Research Foundation, and China’s National Science Fund for Distinguished Young Scholars, the research was published online today in the journal Nature Communications. James Rondinelli, the Morris E. Fine Junior Professor in Materials and Manufacturing in Northwestern’s McCormick School of Engineering, and Cesare Franchini, professor of quantum materials modeling at the University of Vienna, are the paper’s co-corresponding authors. Jiangang He, a postdoctoral fellow at Northwestern, and Franchini served as the paper’s co-first authors. “The possibility of accessing multiple order phases, which rely on different quantum-mechanical interactions in the same material, is a challenging fundamental issue and imperative for delivering on the promises that quantum information sciences can offer,” Franchini said. 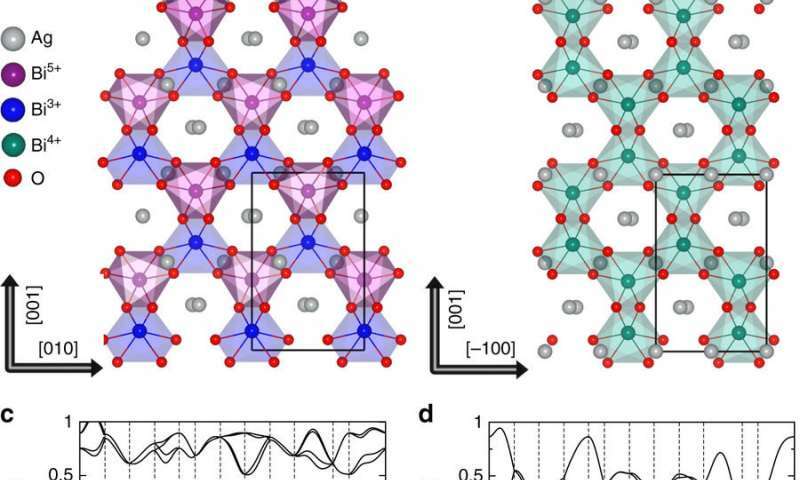 Using computational simulations performed at the Vienna Scientific Cluster, the team discovered coexisting quantum-mechanical interactions in the compound silver-bismuth-oxide. Bismuth, a post-transition metal, enables the spin of the electron to interact with its own motion — a feature that has no analogy in classical physics. It also does not exhibit inversion symmetry, suggesting that ferroelectricity should exist when the material is an electrical insulator. By applying an electric field to the material, researchers were able to control whether the electron spins were coupled in pairs (exhibiting Weyl-fermions) or separated (exhibiting Rashba-splitting) as well as whether the system is electrically conductive or not. In 2015, astronomers confirmed the existence of energetic outflows from supermassive black holes found at the center of most galaxies [Nature]. These outflows kill everything in their path, expelling the food – or molecules – that fuel star formation. 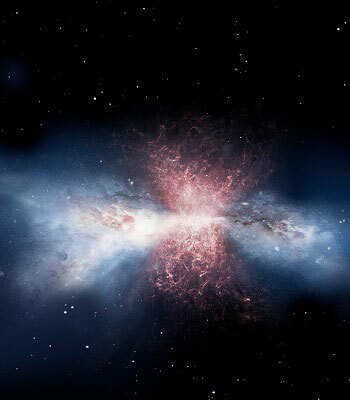 These winds are also presumed to be responsible for the existence of “red and dead” elliptical galaxies, in which no new stars can form. 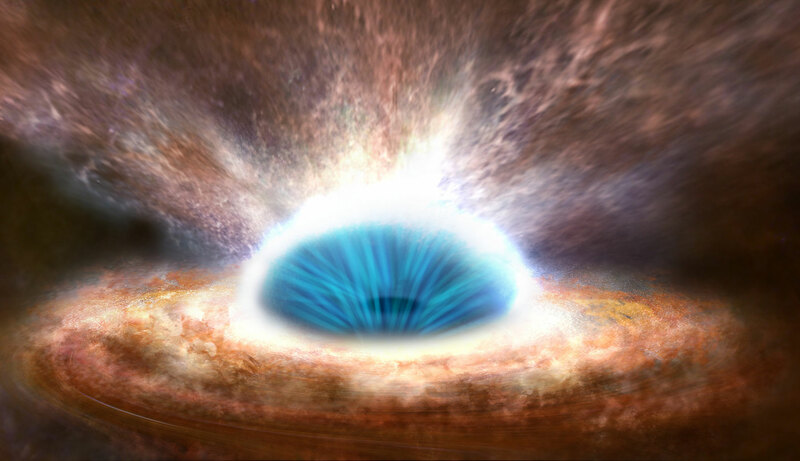 Then, in 2017, astronomers observed rapidly moving new stars forming in the winds [Nature] – a phenomenon they thought would be impossible given the extreme conditions in black hole-powered outflows. Supercomputer power enables advanced simulations of relativistic jets’ behavior. Comparing a low resolution simulation (left) to the high-resolution simulation produced using Blue Waters (right) show the effect of resolution on tilted accretion models. The high resolution model shows that precession and alignment slow down as a result of disk expansion due to magnetic turbulence. Teri Odom and Chad Mirkin of the International Institute for Nanotechnology. World-renowned nanoscientists and chemists Chad Mirkin, the Director of the International Institute for Nanotechnology (IIN) at Northwestern University, and Teri Odom, the IIN’s Associate Director, sit down to discuss the golden age of miniaturization and how the “science of small things” is fostering major advances. The IIN, founded in 2000, is making major strides in nanotechnology and thriving in a big way. Nanoscience and technology — a field focused on studying and manipulating molecules and materials with dimensions on the 1 to 100 nanometer length scale (1 nm = one billionth of a meter) — was anticipated in 1959 by physicist Richard Feynman and made possible with the advent of the electron and scanning tunneling microscopes in the 1980s. It is engaging scientists from all over the world across many disciplines. They are using such tools to explore, and ultimately solve, some of the world’s most pressing issues in medicine, engineering, energy, and defense. We [interviewer is not named] sit in on a conversation between Mirkin and Odom to see where this exciting field is headed. Q: Your team discovered spherical nucleic acid (SNA) technology, where tiny particles can be decorated with short snippets of DNA or RNA. With the creation of SNAs, you’ve basically taken known molecules, reorganized them at the nanoscale into ball-like forms, and changed their properties. What is the potential of such a discovery, and what exciting breakthroughs are on the near horizon? Mirkin: Two really promising areas in which we are applying SNA technology are biomedicine and gene regulation — the idea that one can create ways of using DNA- and RNA-based SNAs as potent new drugs. For example, we can put SNAs into commercially available creams, like Aquaphor®, and apply them topically to treat diseases of the skin. There are more than 200 skin diseases with a known genetic basis, making the DNA- and RNA-based SNAs a general strategy for treating skin diseases. Conventional DNA and RNA constructs based on linear nucleic acids cannot be delivered in this way – they do not penetrate the skin. But, SNAs can because of their unique architecture that changes the way they interact with biological structures and in particular, receptors on skin cells that recognize them, but not linear DNA or RNA. SNAs can also be used to treat diseases of the bladder, colon, lung, and eye — organs and tissues that also are hard to treat using traditional means. Q: Nanotechnology is a multidisciplinary field where chemistry, medicine and engineering all intersect to create innovative solutions for a whole range of issues. One area is photonics, where advances at the nanoscale are changing how we communicate. How? Odom: We’re trying to reduce the size of lasers, which are typically macroscopic devices, down to the nanometer scale. The ability to design nanomaterials that can control the production and guiding of light — which is composed of individual particles called photons — can transform a range of different technologies. For example, communication based on photons (like in optical fibers) vs. electrons (like in copper wires) is faster and much more efficient. Applications that exploit light can readily be transformed by nanotechnology. Q: Nanotechnology has revolutionized the basic sciences, fast-tracking their translational impact. For example, your colleague Samuel Stupp, director of the Simpson Querrey Institute for BioNanotechnology at Northwestern, is on the verge of conducting clinical trials in spinal regeneration through “soft” nanotechnology breakthroughs. Has nanotechnology also revolutionized the traditional scientific method, too? Mirkin: The desire to come up with a solution to a given problem often leads scientists to develop new capabilities. That’s the thrilling thing about science in general, but about nanotechnology in particular: we often have goals, which are driven by engineering needs, but along the way we discover fundamentally interesting principles that we didn’t anticipate and that inform our view of the world around us. These discoveries take us down new paths — ones that might be even more interesting than the original ones we were on. This is the nature and importance of basic science research. Odom: Nano provides the fundamentals. But then, we adapt, based on these unanticipated properties, while still keeping our long-range goals in mind. That’s pretty neat. You can adjust in ways that keep discovery and creativity at the forefront. Without that, we all would be bored. Q: Nobel Prize winner Sir Fraser Stoddart, John Rogers, William Dichtel, Milan Mrksich and the aforementioned Stupp are just a few of the many big names in the Northwestern nanotechnology community. What is Northwestern doing right and what’s the global impact? Mirkin: These are heavy hitters, people who can go anywhere in the world, but they chose to come to Northwestern because they recognized that this is a very special time in our history. We are on an incredible trajectory here, and they want to be a part of it. Odom: We have a holistic way of training new faculty and graduate students because we want them to have a complete picture of everything that’s going on here. This is how we do science at Northwestern, and we really apply it to nanotechnology. Part of our success as a chemistry department has come from our ability to make things, to measure them, and to model them — I like to think of this integration as the “3Ms” principle. Our achievements in nanotechnology have been built on these three synergistic areas of expertise. Mirkin: It really starts with world-class talent, and then collaboration. You can collaborate all you want, but if you don’t have world-class talent, it doesn’t matter. Since we’re going all-in on the medical side, in 15 years I went from having zero collaborations with the medical school, to now having 17. There is a natural interaction here between clinicians, scientists, and engineers that make everyone’s work so much stronger. Within the next five years, I anticipate that there will be cancer treatments based upon nanotechnology that greatly improve outcomes and, in some subsets of diseases, actually leads to cures. Northwestern Medicine scientists are diving deep into the structure and function of ion channels to inform new therapies. A growing cohort of talented Northwestern Medicine scientists is working to unlock the secrets of ion channels and discover how these tiny molecular machines contribute to an array of diseases, from brain tumors and epilepsy to kidney disease and devastating immune deficiencies. This group of investigators, including seasoned faculty like Alfred George Jr., MD, Magerstadt Professor and chair of Pharmacology, and newcomers like Paul DeCaen, PhD, assistant professor in the same department, are not only fundamentally altering understanding of disorders, they’re also revealing how existing treatments work and pointing to potential new treatment strategies. Ion channels are a class of proteins that control the flow of ions such as calcium, sodium or potassium across the membranes of cells, DeCaen explains. Maintaining a proper flow of ions is critical to a multitude of bodily functions, from the transmission of messages between brain cells to the beating of the heart. “It seems like a simple job, but it ends up frequently being problematic,” he says. Mutations in the genes that encode ion channels have been linked to many medical conditions. To understand how these mutations lead to disease, ion channel investigators try to piece together the three-dimensional molecular structures of ion channels. For example, DeCaen and colleagues from the lab of Erhu Cao, PhD, at the University of Utah took this approach to better understand a gene called polycystic kidney disease 2 (PKD2). Mutations in the gene had been found in patients who develop large cysts in their kidneys that cause organ failure. Scientists knew the gene encoded an ion channel that controls the flow of ions, but did not know which ions. Work from DeCaen’s lab pointed to potassium and sodium. So, the team chilled the protein to a very low temperature and then used a powerful electron microscope to get the first glimpse of the protein’s configuration. The results were published in the journal Cell last year. For example, in polycystic kidney disease it is not clear whether mutations cause the PKD2 channel to be continually open, allowing an unending flow of ions, or if the mutation closes the channel. There might even be a mix of on/off effects depending on the specific mutation. So, DeCaen and colleagues are using electrophysiological techniques to find out. Their results could inform the design of drugs to combat the disease. DeCaen has also been consulting Northwestern clinicians about complications beyond cysts in patients with polycystic kidney disease. These clinical insights might provide clues on the function of these ion channels throughout the body and potentially suggest treatment strategies. Working with George, and Jennifer Kearney, PhD, associate professor of Pharmacology, DeCaen is also probing the role of ion channels in epilepsy. His lab is recreating the structure of a bacterial version of an epilepsy-linked sodium channel as a first step toward recreating the mammalian version. So far, the work has yielded unexpected clinical benefits. “This gave us our first glimpse into how anti-epileptic drugs work,” DeCaen says. It has also suggested potential antibacterial treatments that would target the channel. The applications of this line of research go even further: This summer, George and colleagues showed how mutations in a sodium channel called Nav1.9 can lead to a disorder where people are unable to feel pain. The findings, published in The Journal of Clinical Investigation, might have implications for the development of novel therapies for pain. Meanwhile, Murali Prakriya, PhD, associate professor of Pharmacology, focuses on the Ca2+ release-activated Ca2+ (CRAC) channel. Originally described in immune cells, CRAC channels are found in the plasma membranes of most, if not all, human cells. When the channel opens, it allows calcium ions to flow into the cell, signaling functions such as gene expression and cell proliferation. A growing number of diseases are associated with abnormalities in CRAC channel function including immunodeficiencies, muscular dystrophy and neurological diseases such as Alzheimer’s disease. His lab is working to understand how CRAC channels operate and contribute to immune host defense mechanisms, the detection of allergens in the lung airways, and brain function. In a paper published in Nature Communications early this year, Prakriya worked with Megumi Yamashita, PhD, DDS, research assistant professor of Pharmacology, and Priscilla Yeung, a student in Feinberg’s Medical Scientist Training Program, to reveal how the CRAC channel opens and closes. This research identified the molecular structure in the channel that functions as the gate, as well as the movements in the channel pore that open the gate. First, the scientists used electrophysiology and microscopy techniques to systematically probe the contributions of different regions of the CRAC channel protein to pore opening, identifying an oily amino acid as the channel gate in the process. Then, computer simulations developed by University of Toronto collaborators helped reveal how this amino acid impedes ion conduction. These conclusions have important clinical implications. Some human mutations in the gene encoding the CRAC channel leave the gate open and cause uncontrolled bleeding, neurological problems and muscle weakness because the cells in these individuals have excessive levels of calcium all the time. Prakriya’s lab is currently working to understand the molecular signals that open the hydrophobic gate and to identify small molecules that can interact with the gate to alter the channel’s activity. These could correct defects in cell signaling and ameliorate symptoms associated with aberrant CRAC channel activity seen in immune, muscular and neurodegenerative diseases. Ion channels are a class of proteins that control the flow of ions such as calcium, sodium or potassium across the membranes of cells. While investigators like DeCaen and Prakriya focus on molecular-level details, Rintaro Hashizume, MD, PhD, assistant professor of Neurological Surgery and of Biochemistry and Molecular Genetics, is using mouse models of brain tumors to begin to translate basic ion channel discoveries into experimental therapeutics. Before he joined Northwestern in 2014, Hashizume collaborated with a team of ion channel investigators at the University of California, San Francisco, who figured out that medulloblastoma, a cancerous pediatric brain tumor, was enriched with Ether-a-go-go 2 (EAG2) potassium ion channels. The EAG2 channel helps regulate the cell cycle and volume of cells, so the investigators searched for a drug that could inhibit it. They found that thioridazine, used to treat schizophrenia, did the trick. Hashizume gave the drug to mice with human medulloblastoma and showed that it stopped tumor growth and, more importantly, prevented metastasis, which occurs when the tumor spreads to other parts of the body, decreasing patient survival rates. The findings were published in Nature Neuroscience. “That’s an important therapeutic advantage of the potassium ion channel blocker — if the tumor doesn’t metastasize you can focus on the management of the original tumor,” he says. Hashizume has since launched a pediatric tumor research collaboration with George. Using cells derived from a Northwestern pediatric patient with a brain tumor, Hashizume created a mouse model that will allow the team to probe how the mutation affects ion channel function and test treatments that might correct the problem.